After an emergency, especially after flooding, drinking water may not be available or safe to drink for personal use. Do not use water you suspect or have been told is contaminated to wash dishes, brush your teeth, wash and prepare food, make ice, or make baby formula. If you don’t have safe bottled water, you should boil water to make it safe. Boiling is the surest method to make water safer to drink by killing disease-causing organisms, including viruses, bacteria, and parasites. If you don’t have clean, safe, bottled water and if boiling is not possible, you often can make water safer to drink by using a disinfectant, such as unscented household chlorine bleach, iodine, or chlorine dioxide tablets. Many portable water filters can remove disease-causing parasites such as Cryptosporidium and Giardiafrom drinking water. 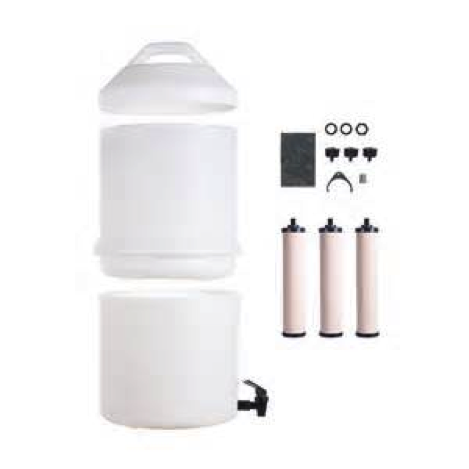 If you are choosing a portable water filter, try to pick one that has a filter pore size small enough to remove both bacteria and parasites. Look for a filter that has a pore size of 1 micron or less. This will remove microbes 1 micron or greater in diameter (Cryptosporidium, Giardia). Relied on by the US military overseas ... the most rugged, longest lasting microfilter available. The classic. This robust water filter made of heavy duty materials is ideal for long lasting continuous use even under extreme circumstances. The silver impregnated ceramic element is effective against bacteria and protozoa. The Katadyn Expedition is ideal for large groups and relief organizations. It is indestructible and easy to use. The best choice for expeditions, River Raftings, Camps, etc. 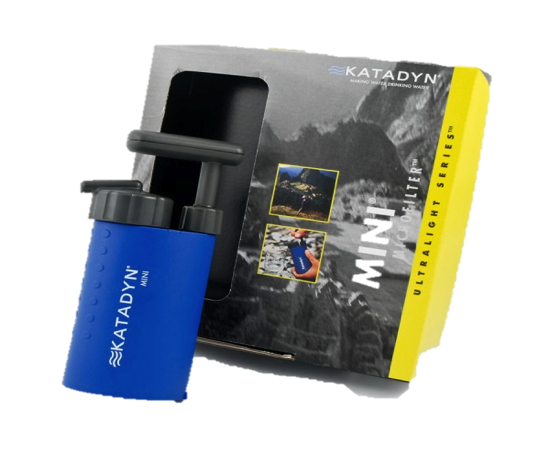 Our 25% sale on Katadyn filters is ending soon grab yours before it ends..
Katadyn water filters are the ultimate, premier portable water filters, relied upon by the military, relief agencies, adventurers, campers, hikers, and scout groups around the globe for years. There are many product options to fit your specific needs and right now, Safecastle is offering some very special Springtime discounts backed by our Best Price Guarantee. 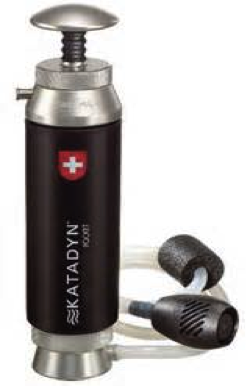 The Katadyn Pocket is the only water filter with a lifetime warranty. 25%-off Katadyn Water Filters (Survival, Outdoors, Hiking) ; New Knife Blowout Offer! It also connects directly to hydration packs with 1/4" drink tubes (ie Camelbak). 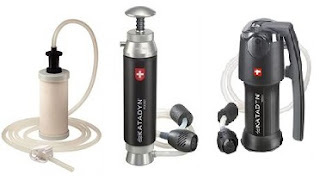 Includes: Prefilter, bottle adapter and carry bag. 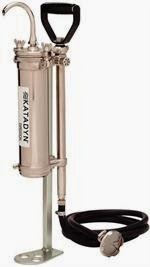 Katadyn Vario, Dual-Technology Water Filter!! The Katadyn Expedition is ideal for large groups and relief organizations. It is indestructible and easy to use. The best choice for expeditions, River Raftings, Camps, etc..
2014 Knife & Blades Giveaway !! The offer package in the Knife & Blades Giveaway is based on what we have in stock. As the knives disappear, the package offer will be adjusted, so you want to keep checking in to see what the latest offer is. Find yourself backed into a corner with the undead on the move? Grab your Gator Pro. It has an aggressive, multi-purpose blade that can be used as an axe, a machete, or knife to filet your way through any walker offensive. The lightest, most compact filter.